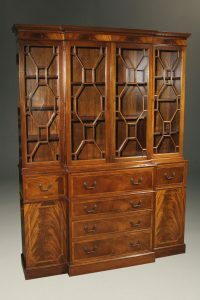 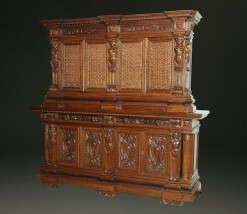 Wonderful Colonial Revival style breakfront/secretary made in mahogany by the Baker furniture Company. 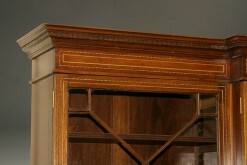 Antique English Hepplewhite style breakfront. 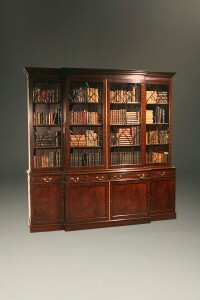 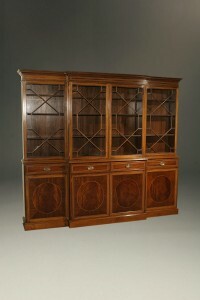 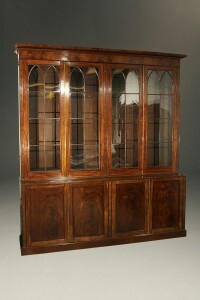 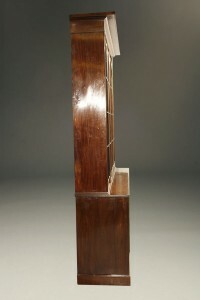 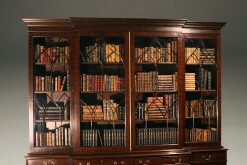 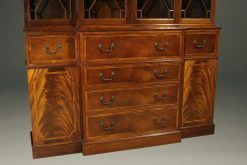 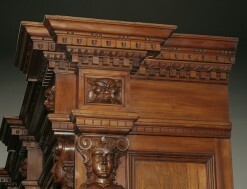 Custom English mahogany Georgian breakfront bookcase.